Walter” is no kind of name for a boy. “Wally” perhaps, but it’s well known that Wallys don’t normally become Walters until they sprout their first ear hairs. No, “Walter” is a name for a man—one with a woolly walrus mustache that tickles his buck teeth, stained from cigars, whiskey, spinach, and whatever other hogwash adults waste their time on. “Walter” is the name of a man who harrumphs instead of saying hello, a man who is big, gray, and terribly ordinary. So it’s rather an odd happenstance that our Walter was the exact opposite of all of these things. Walter Mortinson was undoubtedly a boy. His wiry pipe-cleaner frame was unique to a twelve-year-old, and his wide brown eyes were still too big for his round face, pillowed with baby fat. But Walter, as many boys and girls are, was much cleverer than a man. His brain wasn’t hardened with age, bloated with useless worries about expenses, timeliness, and the desire to eat leafy green things. No, Walter’s brain was still wonderfully soft and squishable. This was convenient, as it allowed Walter to squeeze the entire universe—all of her stars and possibilities—between his ears. 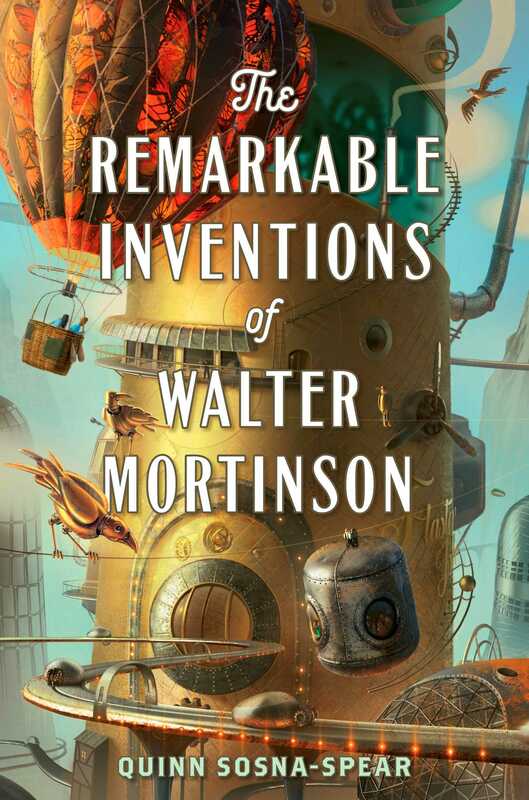 Most Walters cannot manage such feats, but this Walter, Walter Mortinson, could, which is important because he had vast things to think about: Walter was an inventor. Odd ideas occurred to him. He imagined beasts that didn’t exist and contraptions that could do things that hadn’t yet been done. Why, just a week before, he had wondered if fingernail clippings could be turned into tiny scissors to trim toe hairs, and the answer is yes, with a strong enough magnifying glass and springy enough toe hairs. While many people have such thoughts, Walter had the tenacity and the nimble fingers to bring his ideas to life. On this morning he was doing just that. He had awoken far earlier than the birds (or the worms, for that matter) and had gotten to work on his newest idea. It had required him to sneak into the neighbor’s yard early that morning and dig something up, but no matter. They hadn’t been using it anyway. For hours he sat hunched over his prize, its once-white form marred by dirt and soot, his walnut knuckles twisting their way skillfully around it. Walter could see the final product in his mind and had nearly achieved it. It was show-and-tell day. He just had to finish his project; he would stay nose-to-his-desk until then. And while Walter was correct—he would complete his task—this wouldn’t happen until five minutes after the school bell had rung, which meant Walter would be late. Again.